During the last years of their kingdom, Minoan merchants started trading with the people of Mycenae (my.SEE.nee), a city near the coast of the mountainous Peloponnesus. The Mycenaeans seem to have been a warlike people who measured their wealth by the number of weapons they owned. The Mycenaeans learned many Minoan customs and adapted Minoan ways to fit their own culture. The process by which a culture takes ideas from other cultures is known as cultural borrowing. 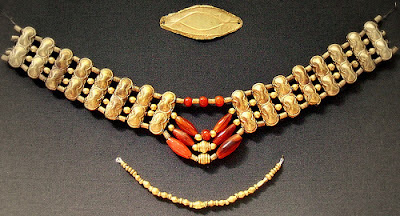 The Mycenaeans borrowed Minoan religious beliefs. They changed Minoan art styles and pottery designs to make them more warlike. They also changed Minoan writing to match the Mycenaean language. Historians now know that the Mycenaean language is an early form of Greek. In 1450 B.C., after the Minoan kingdom weakened, the Mycenaeans invaded Crete. Mycenae controlled Crete and much of the Peloponnesus from about 1450 B.C. to 1100 B.C. 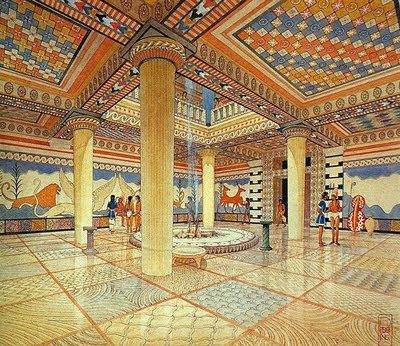 Like the Minoans, the Mycenaeans built large palaces. However, the Mycenaeans put up walls to protect their palaces. The Minoans had not seen a need to guard themselves with walls. The fact that the Mycenaeans built walls shows that they often fought with others. For many years the Mycenaeans sailed the seas in search of new trade just as the Minoans had done. Mycenaean trade and travel led to the founding of colonies all along the Mediterranean coast. However, after several centuries of strength, the Mycenaean civilization weakened about 1100 B.C. No one knows why Mycenaean control of Greece weakened. For many years historians believed that other Greek warriors called Dorians marched southward and burned palaces and villages in their path. Now some historians believe that invaders called the Sea Peoples attacked the Mycenaeans. 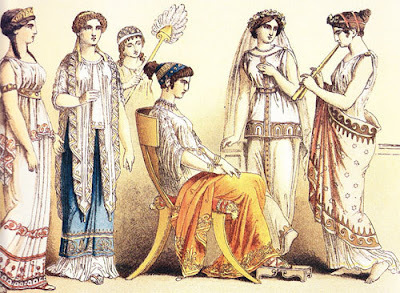 They think that the Dorians had long lived side by side with the Mycenaeans or moved into the area after the attack. Other historians believe that disagreements among the Mycenaeans themselves weakened them. Most historians do believe that some great change must have happened or the Mycenaeans would not have given up their writing, art, and trade. Between 1100 and 800 B.C., much Minoan and Mycenaean learning was lost. 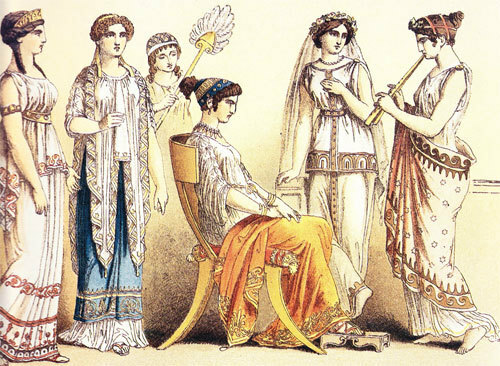 The ancient people of Greece returned to a simpler way of life. The work of archaeologists has helped us learn about the Mycenaeans. 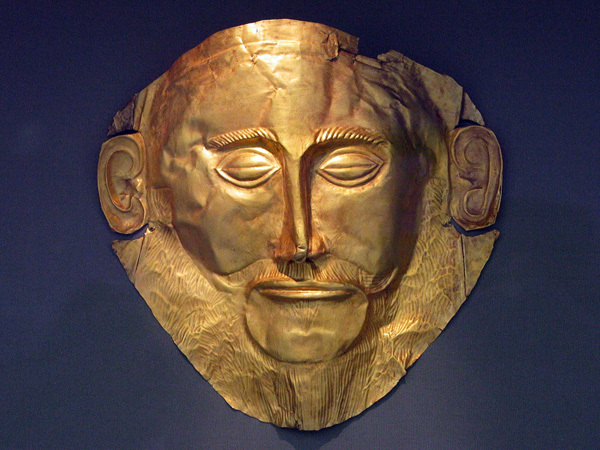 In 1876 German archaeologist Heinrich Schliemann found the first signs of Mycenaean civilization. He uncovered many Mycenaean riches, including golden cups, weapons, and masks. From whom did the Mycenaeans borrow ideas about art, writing, and religion?